August 1969 seems like a long time ago; Antipode is well into its 40s now and it’s time for a facelift. We’re looking for a new cover for the journal. Working to a trim size of 246 x 171 mm and using no more than two colours we’d like you to come up with an original design (no adapted or otherwise altered images please). 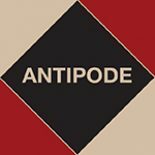 It must include the journal’s name (Antipode: A Radical Journal of Geography), and both the volume and issue numbers and the cover month must be visible. Please note that the winning design will become property of Antipode Foundation Ltd.
We’ve had a number of covers over the years (see below) and each is very much a product of its time. What should Antipode look like in our time, though? The Editorial Collective sketched-out a vision of the journal in the 21st century in Antipode 43:2 and perhaps this will be food for thought. One thing is certain; we’re not – and we don’t want to look like! – just another academic journal. So many covers, it seems to us, are too buttoned-up; so reserved and uncommunicative as to be unnecessary. Why do we so often see rational kernels encased within mystical shells?! We want a cover with a point: something of real value. The winning design (which will be launched in January 2013 on Antipode 45:1) will go on to form not only the cover. It will be used to create: banners for this website and Wiley-Blackwell’s Online Library; headers for the electronic versions of our papers; and branding for all our marketing materials distributed at international conferences (for some examples, see here). What we’ll need from you is either an electronic file or, if it’s been hand-drawn, a scan at 600dpi minimum (you might be asked to supply our publisher with the original but rest assured it will be returned to you). The deadline for the competition is Tuesday 27th March 2012. Designs should be submitted to our editorial office manager, Andrew Kent, and will be assessed by the editorial collective. The winning designer will receive a five-year subscription to the print edition of the journal. Some past cover-art and keywords to start the creative process. This entry was posted on 13 January 2012 by Antipode Editorial Office in Other and tagged antipode, cover design competition.